Fifty years before Confederation, the land we now call “Canada” consisted of the colonies of British North America: Upper Canada (southern Ontario), Lower Canada (southern Quebec), New Brunswick, Nova Scotia, Cape Breton Island, Prince Edward Island, and Newfoundland. British North America also included Rupert’s Land, which was nominally owned by the Hudson’s Bay Company and encompassed what is today northern Quebec, northern and western Ontario, all of Manitoba, most of Saskatchewan, south and central Alberta, and parts of the Northwest Territories and Nunavut. Through the Hudson’s Bay Company and the North West Company, the British also had a permanent presence in what is now British Columbia. In practice, vast tracts of Canada were populated solely or mainly by aboriginal peoples. 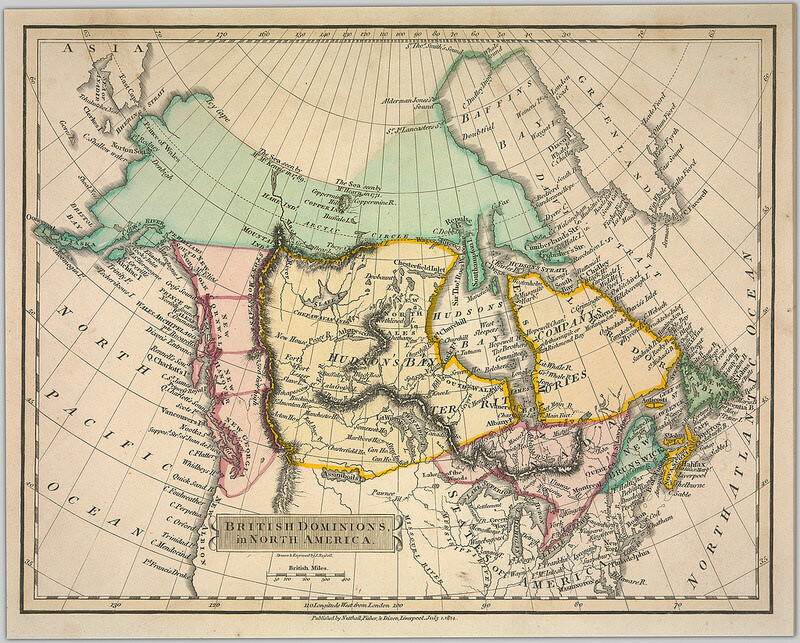 Here are some glimpses of Canada in 1817. To make matters worse, on November 7 and November 21, 1817, fire swept through St. John’s, destroying some 300 homes and businesses. The following was written by a St. John’s resident a week after the first blaze. The news of the almost total destruction of our town by fire will no doubt have reached you before the arrival of this…. The real state and character of Newfoundland have been but little considered, and not at all appreciated in Great Britain, except by a few who have been immediately concerned in its trade. The barren rocks, the uncultivated inland, and the rigours of a long winter, with its produce only in the contemptible article of salt fish, have given an idea in England that such a place is hardly worth the notice of the mother country…. But never did any impression go upon a more false principle: for notwithstanding all the seeming disadvantages of climate and soil, Newfoundland, with its fish produce, together with oil and fur, stands forth as the emporium of British North America; and in the fall of St. John’s, the colonies have lost their metropolis. Halifax and Quebec, with their appended provinces, cannot supply the deficiency, nor answer for the loss to the British Empire. The Canadas, Nova Scotia, New Brunswick, Cape Breton, and Prince Edward Island have each an independent regular government: these provinces contain a population of about 300,000; the population of Newfoundland is about 80,000, and for these no regular government is provided, although the state of society in St. John’s, and some of the out harbours, is such as to demand all the assistance of a well-digested legislation, and a vigorous police. In the different ranks of society, shocking scenes of vice, intemperance, and excess have been witnessed, which have threatened ten thousand times over the most awful consequences…. It is now (15th Nov.) eight days since the dreadful catastrophe, and no measures have been taken by government to bring a vigorous system to bear against the horrors of the fast coming winter. We had but a short stock of provisions in store before the fire: much, very much of this is destroyed. 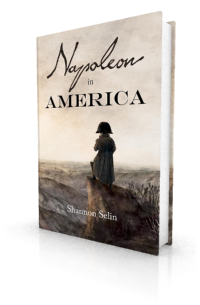 St. John’s is full of people; and thousands must be fed by charity…..
Pierre François Réal and his secretary Pichon provide Napoleon with a similar opinion of Lower Canada in Napoleon in America. Hall continued on to Quebec City. 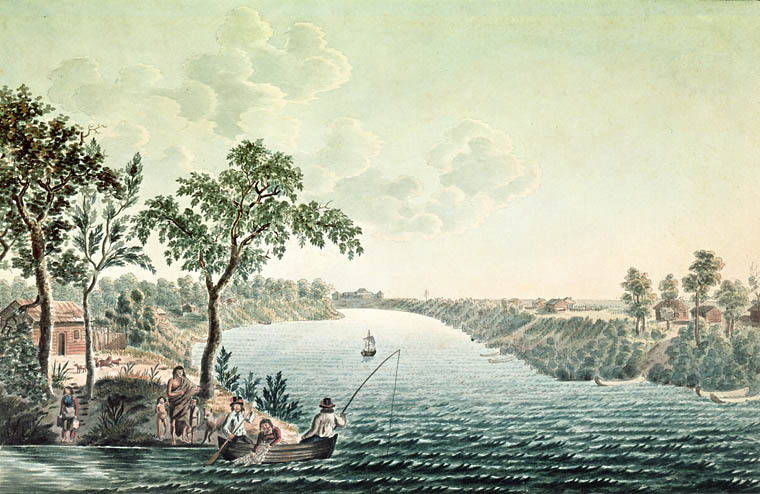 Joseph Sansom, a member of the American Philosophical Society from Philadelphia, toured Lower Canada in July 1817. The state of society in Upper Canada, especially to a European, is not attractive…. Canadian society has rather roughness than simplicity of manners; and scarcely presents a trace of that truly refined, that nobly cultivated, and that spiritually improved tone of conversation and deportment, which, even in the most highly polished circles, and amidst all the inflations of real or imagined superiority, is so rarely to be found. Yet the state of society in Upper Canada is not without its advantages. It is adapted to the condition of the country, and is consistent with the circumstances of which it forms a part. Its general characteristics may be said to be, in the higher classes, a similar etiquette to that established at home, with a minor redundancy of polish, and minor extravagance; and in the lower, a somewhat coarser simplicity. As far as I have seen the people, they appear to me fully as moral as any other that I know, with as much mutual kindness amongst themselves, and more than commonly hospitable to strangers. They seem to me rather inclined to seriousness than to levity, and to need only the advantages of pious instruction and of pious example to become, under grace, one of the most valuable people upon the earth. The people here have many privileges: in the spring they make sugar by piercing the maple tree, which produces a sweet sap, and when well boiled, makes remarkably good sugar. Another advantage is most families make their own soap, by saving the ashes of the firewood: the people in general live well; there are here no poor, comparatively speaking; they have from the produce of their gardens, melons, cucumbers, and all kinds of vegetables, and of these they make preserves; and as each house has in general a cellar, they store their garden roots, potatoes, &c in these secure places, to protect them from frost. From that narrow stripe of territory situated along the St. Lawrence, to which we give the name of Upper and Lower Canada, a plain of illimitable extent stretches to the north and north-west, as far as the frozen regions. If the whole population of this vast expanse were collected together, it would not perhaps equal that of one of our moderate-sized English counties. In the absence of man, however, the track is covered with elks, deer, beavers, otters, martens, &c. &c. in swarms of which it is impossible for us to form any conception. This abundance of the most valuable fur-bearing animals has become the foundation of an extensive trade, carried on by a company established at Montreal called the North-West Company. The exertions made, and privations endured, by their agents, appear truly astonishing. It is said, that the track by which their goods are transported, occupies an extent of from three to four thousand miles, through upwards of sixty large lakes, without any means of transport but slight canoes of bark. In persons engaged in so rough a trade, so far out of the pale of civilized society, and having to deal with the most savage of the human race, it would be vain to expect a deportment always quite regular and peaceable. If any illegal act is committed, there is no redress but from the tribunals at Montreal, placed at the distance of several thousand miles, and to be reached only by a voyage more toilsome and dangerous than that across the Atlantic. In such a case, the remedy most prompt, most convenient, and every way suited to their inclination, is to take the law into their own hands. In 1817, the Hudson’s Bay Company and the North West Company (allied with the Métis) were in the midst of the Pemmican War, a series of armed confrontations between the two companies focused on the Red River Colony, situated in what is today Manitoba. 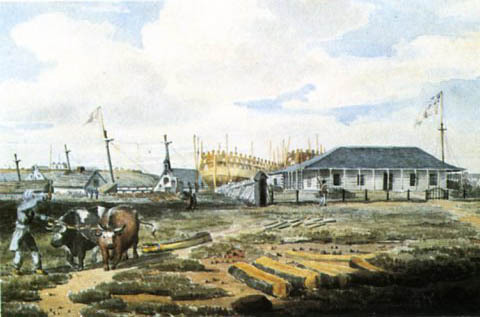 The colony was founded in 1812 by Thomas Douglas, 5th Earl of Selkirk, a majority shareholder of the Hudson Bay Company. 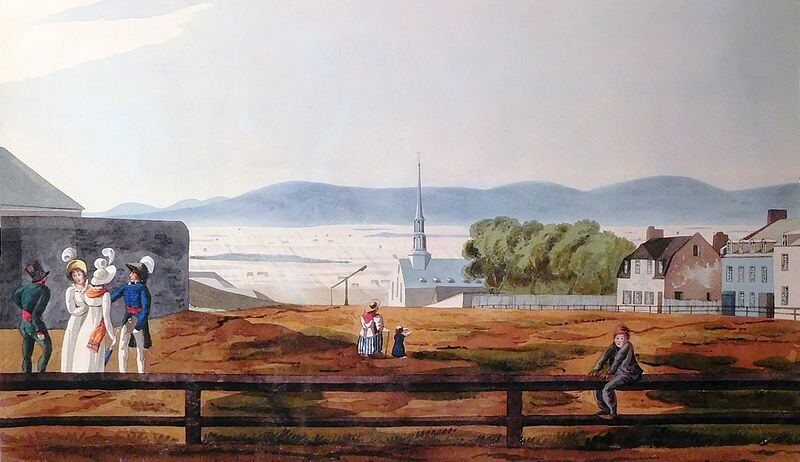 On August 19, 1817, Mr. Shaw, an agent of the North West Company, arrived in Montreal with news from the colony. Mr. Shaw reached the Red River most opportunely, as the stock of provisions had been in a manner abandoned by the people who had it in charge. On Mr. Shaw making the Forks, he was immediately joined by a large band of the natives, who offered him their services, not only to protect the provisions, but to assist in driving away what they term, the bad dogs, from the land. Mr. Shaw visited Lord Selkirk at Fort Douglas, who expressed great satisfaction at seeing him, and told him that himself and followers, about 160 in all, were almost in a state of starvation, having been obliged chiefly to subsist on cat-fish for the last month, and that he now looked to the provisions of the North West Company for the subsistence of his people. Mr. Shaw objected to this, for the reason of not diminishing his own supplies. His Lordship said he had the means to enforce compliance with his request, and endeavoured to prevail on Mr. Shaw to resign a part without compulsion. Mr. Shaw refused the supply, and ultimately maintained his point. The two companies merged in 1821. Were there Canadians at the Battle of Waterloo? The National Advocate (Washington, DC), May 22, 1817. Northampton Mercury (Northampton, England), December 20, 1817. Francis Hall, Travels in Canada and the United States in 1816 and 1817, 2nd edition (London, 1819), pp. 49-51, 74. James Wilson, Narrative of a Voyage from Dublin to Quebec, in North America (Dublin, 1822), p. 24. Joseph Sansom, Sketches of Lower Canada, Historical and Descriptive (New York, 1817), pp. 48, 54. C. Stuart, The Emigrant’s Guide to Upper Canada, or, Sketches of the Present State of that Province, collected from a residence therein during the years 1817, 1818, 1819 (London, 1820), pp. 120-122, 142, 160-161. Wilson, Narrative of a Voyage from Dublin to Quebec, in North America, p. 35. The Edinburgh Magazine and Literary Miscellany: A New Series of the Scots Magazine, May 1, 1817, pp. 370-371. The Times, London, October 1, 1817. Very interesting. Reminds me of the Canadian history I learned during my 3 years at school in Ottawa in 1943-47. Thanks, Geoffrey. Nice to learn that you have a direct connection with Canada. I have read that areas in Newfoundland retain an Irish accent because of their isolation. I now know an origin of it. The comments on the other areas are interesting too. Nothing could be more Siberian than the aspect of the Canadian frontier: a narrow road, choked with snow, led through a wood, in which patches were occasionally cleared, on either side, to admit the construction of a few log-huts, round which a brood of ragged children, a starved pig, and a few half-broken rustic implements, formed an accompaniment more suited to an Irish landscape than to the thriving scenes we had just quitted.